Nancy D. Zehner, Esq., President and founder, earned her law degree from Fordham University School of Law, where she was on the Dean's List and Moot Court Board. She earned her B.A. in English Literature from Muhlenberg College, where she was on the Dean's List, was the recipient of several awards for academic excellence and leadership, was President of the National Theatre Honor Society, and received the Fiddler Award for “Most Outstanding All-Around Musician”; and where she enjoyed leading roles in several musical theatre, operatic and dramatic productions, as well as performing as lead vocalist for several music ensembles (jazz, rock, classical), and concertizing in classical piano and voice. Nancy is a “retired” member of the New York and Connecticut Bars. Before entering the recruiting field, she practiced law in NYC with Shea & Gould and Schnader Harrison Segal & Lewis, where her specialty was commercial litigation. She is a frequent lecturer at law schools and conferences on topics concerning attorney recruiting, placement, retention, corporate law department re-engineering and knowledge management. New York City Bar Association: Chair, Entertainment Committee (Chair, 2018- ; Member, 2004-Present); Career Advancement and Management Committee (Member, 2000-2004); International Legal Services Task Force (Secretary, 1993-1995). NALSC (Director, 2003-2004). New York American Inn of Court (Member, 2010-Present). The Lambs (Member, 2005-Present). In her spare time, Nancy enjoys performing in musical theatre, long-distance running and cycling, and volunteering for Achilles International, whose members are amazing physically-challenged athletes, including veterans. Suzette Simon Rubinstein, Esq., Executive Managing Director, earned her law degree from Fordham University School of Law, where she was a Member of the Urban Law Journal. She earned her B.S. in Industrial and Labor Relations from Cornell University. Ms. Rubinstein, her husband Andrés, son Noah and daughter Alexa live in Manhattan. 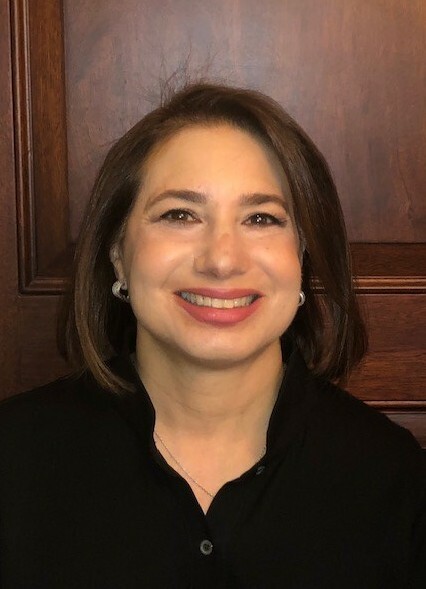 She is a member of the Board of Directors of the Cornell ILR Alumni Association, Committee Chair of the Cornell Alumni Admissions Ambassador Network (CAAAN), and a former member of the Board of Trustees of Park Avenue Synagogue. Ms. Rubinstein serves as a Guest Lecturer and Advisor to the Fordham Fashion Law Institute. In her spare time, she enjoys boating, reading, skiing and movies. Prior to joining Artemis in January 2008, she was a recruiter at another major attorney search firm based in Manhattan for almost fourteen years. Prior thereto, Ms. Rubinstein practiced labor and employment law for several years, first with the law firm of Jackson, Lewis, Schnitzler & Krupman and later in-house with a major multinational corporation, Unilever United States, Inc. Ms. Rubinstein chose legal recruiting as a means of combining the interactive skills that she acquired as a labor and employment lawyer with the contacts that she developed in the legal profession. She assists leading law firms in their acquisitions of groups, partners and associates. Her practice also involves placing senior in-house counsel with major financial institutions and corporations in the media, manufacturing and technology sectors. Michele Crow, Esq., Executive Managing Director, earned her law degree from The University of Arizona College of Law, where she was Articles Editor of the Arizona Law Review and where she won the first year Moot Court competition and Race Judicata, the law school 10K. Her undergraduate degree is from UCLA. After law school, Ms. Crow joined Willkie Farr & Gallagher as a commercial litigator. For ten years prior to joining Artemis, she was founder and Principal of The Asheville Group LLC, a legal recruiting company that specialized in placing attorneys in-house in both legal and business positions. Ms. Crow lives in Greenwich Village with her son and her husband, a Professor of Philosophy at New York University. Elissa J. Podolsky, Esq., Executive Managing Director, earned her J.D. from Columbia University School of Law and her B.A. from Yale College. Prior to joining Artemis, Ms. Podolsky practiced law at a large international law firm representing management in labor and employment disputes and then at a smaller firm representing individuals, particularly executives, in employment negotiations. Her experience representing executives during career transitions proved to be a natural segue to recruiting. Outside of the office, Ms. Podolsky enjoys languages, travel and skiing and participates in Toastmasters. She has also served as a member of the State Affairs Committee of the Association of the Bar of the City of New York. Carolyn A. Woodberry, M.B.A., Business Consultant, earned her M.B.A. from Harvard Business School and her B.S. in Economics from Massachusetts Institute of Technology, where she was named Collegiate Academic All-American. After M.I.T., Ms. Woodberry worked at J.P. Morgan & Co. Incorporated as a Corporate Finance Associate in the areas of Financial Advisory/M&A, New Business Development/Product Introductions, and Internal Consulting. After Harvard, Ms. Woodberry worked as an Associate Consultant at McKinsey & Company, Inc., where she was a member of the strategy and implementation teams for various consumer/healthcare companies. She then served as Vice President at K-III Communications Corp. (now Primedia Inc.), where she developed financial strategies to support active growth and an extensive acquisition program. She has demonstrated to many her value as a trusted and knowledgeable adviser. Daniel P. Schroder, Administrator/Research Manager, earned his B.S. in Actuarial Science at The College of Insurance at St. John’s University. Mr. Schroder has several years of experience as a database manager in the legal recruiting field. He previously worked as a consultant for Towers Perrin and has managed numerous enterprises. Our management and recruiting teams are comprised of former practicing attorneys and other highly credentialed professionals with the highest ethical and service standards.